Those comfort insoles are 100% natural fibres. An original and eco-friendly product to improve well-being ! Cinnamon has thermo-regulator properties. It helps keep the feet warm during cold weather and reduce sweating during hot seasons. Moreover, this spice – called “cinnamon cassia” – spreads a perfume which neutralises odors. It also energizes the arch of the foot as well as nerves endings. To do so, the bark of cinnamon trees is first crushed. This powder is then placed between the two textiles layers. Each size includes a specific quantity of cinnamon powder, spread evenly along the insole before it gets sewn. 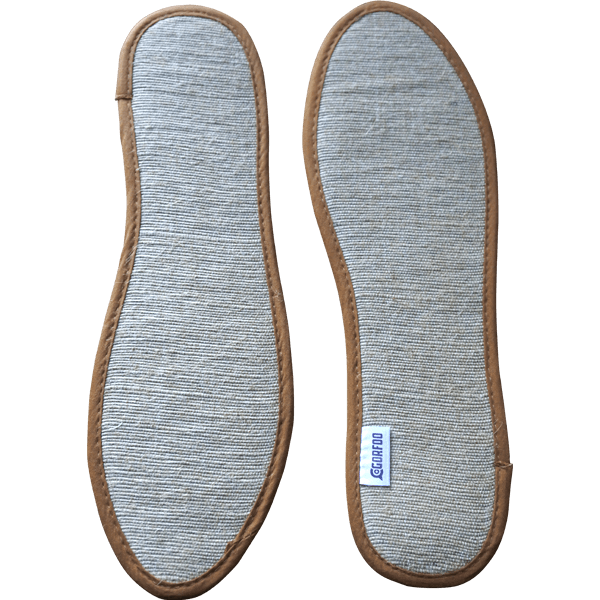 You can wear Gorfoo insoles on both sides : either on the jute canvas, or on the sewn cotton side. The first one brings a “tatami” feeling, while the cotton side stimulates the support point of the feet. Thanks to this two-sided construction, you can choose your preferred side depending on your sensation. Last but not least, compacted coconut fiber is placed between the two external fabrics. 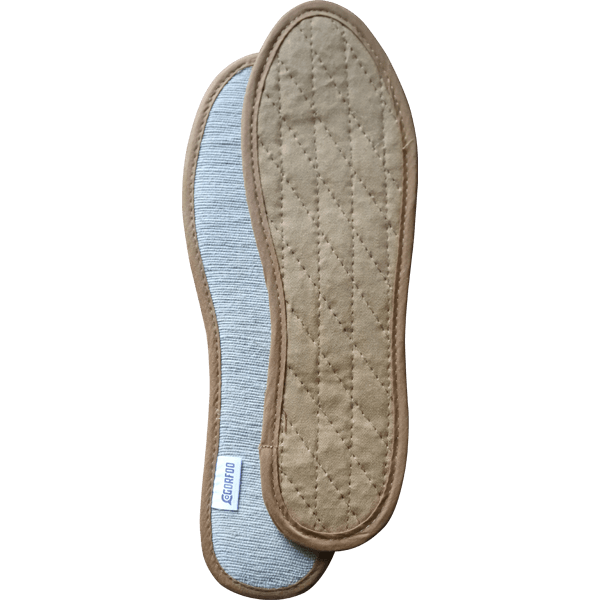 This cushions the insole. Also, coconut fiber has antibacterial properties. Farmers-harvesters, not far from Da Nang city in the centre of Vietnam, collect the cinnamon. Then they bring it to the workshop located in Da Nang. Each insole in crafted there. This product is 100% vegetal, biodegradable and compostable so that its end of life is absolutely no problem for the environment !